Along with being a window to new trends in the electronics industry, NEPCON 2018 offered the glimpses of how the world of technology would be like in the time to come, writes Devendra Kumar, Editor, ELE Times. 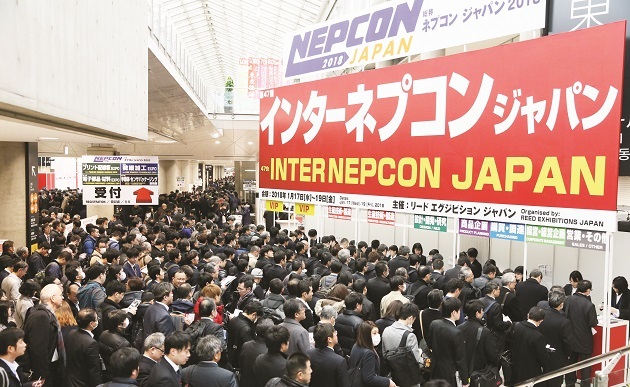 NEPCON Japan 2018, 47th edition, the largest exposition for electronics manufacturing and R&D technologies, with concurrent shows including Wearable expo, RoboDEX Expo, Smart Factory Expo, and Automotive World, covering important topics in the automotive industry such as automotive electronics, connected car, autonomous driving, EV/HEV/FCV, lightweight and processing technology concluded on January 19th 2018 at Tokyo Big Sight, Japan. Total 2480 exhibitors including 439 overseas exhibitors from 34 countries exhibited their latest technology and achievements while a mammoth 114380 visitors visited the show which is the largest ever in the region. On the seminar side the speakers from Sony Semiconductor, Intel, IBM, Foxconn and NVIDIA including others presented their insights on solutions for latest technologies. Approximately 350 conferences at the show discussed Artificial Intelligence, 5G communication technology, autonomous vehicle, IoT, and Micro LED mass transfer technology etc. Flocks of people attended NEPCON 2018. 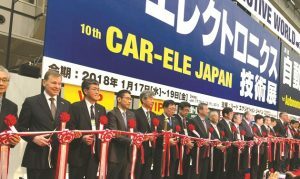 NEPCON JAPAN showcased the development of electronics design and manufacturing technologies and acted as one-stop trading hub for electronics industry in the region. This year’s theme i.e. technologies regarding automobile, wearable devices, robots and Smart Factory attracted the professionals from around the world specially from China, Taiwan, Korea, Europe, America, India and the Middle East to witness the future technologies. NEPCON JAPAN woven around components to the end applications. The four concurrent shows—wearable expo, automotive world, RoboDEX, and smart factory Expo thus complementary to the main show. At the helm of the shows is the technology integration between different industries. In the age of smart, electric, and autonomous vehicles the automobile industry is evolved and benefit long with the automotive electronics. The power supply modules for cars, automotive ICs, ADAS, LiDAR, sensors, and displays reflect the future trends at NEPCON. Autonomous Driving and ADAS Technologies: Autonomous driving is one of the hottest topics all over the world these days. NEPCON gathers essential technologies and solutions such as sensors, radars, AI, semiconductors, dynamic maps etc. The autonomous driving section added to Automotive World 2018 attracted 100 exhibitors. According to the Organiser, “autonomous driving will still be a highlight of the show in 2019 and it expects the section to be twice as big as it is this year”. The Exhibition for Connected Car Technologies: NEPCON exhibits features and all kinds of IT solutions, Apps and Services for connected cars. Carmakers, automotive parts suppliers and vehicle corporate users gathered to find new suppliers. The Exhibition for EVs technologies: The exhibition gathers all kinds of core technologies for EV & HEV; Motors, Inverters, Rechargeable Batteries, Chargers, etc. Automotive OEMs and suppliers visit the exhibition to find the latest products. The exhibition has established itself as the must attend event for automotive industry professionals. RoboDex had the disrupted new technologies displayed for different future applications. Robotic walking aids, intelligent robotic assistant and hostesses, multi-axis robots and AGR’s to assist in manufacturing processes were a few highlights. The future robots offering services was the striking highlight at RoboDEX. The service robots drew the attention of Japan’s aging population. The demand for service robots is expected to rise in the countries like Japan and the robot section will also be expanded next year. Artificial intelligence drew attention of future looking professional for it probable applications in autonomous vehicle and smart factory technologies. A thought provoking discussions at a number of AI conferences at the show opens up discussions for diverse applications and possibilities. For me it was the first time to be part of the event but I got to know significant change in the audience this year. A number of US and European visitors and exhibitors were available at this event. Interestingly there were a sizeable footfall of buyers from India. The magnitude of the show, the concurrent events comprising components and the end products, a perfect display of future technologies, a curious display of research and development, a well-managed and beautifully organized show, organization of a few hundred seminars and the equally interested audience in the knowledge based talks, the facilities and the amenities at the show were the biggest take away – specially for Indian audience and the government who intend to promote ‘make in India’ and electronics industry in India. NEPCON is almost too big and continues to become more compelling for the world audience.